From 19th to 26th July this year, enjoy the 55th Cueva de Nerja international festival of music and dance with performances of local artists in a spectacular location of the Mediterranean Coast. A different plan for a summer evening is to enjoy in a beautiful place such as the town of the Costa del Sol called Nerja, good live music performances by local renowned artists and international music bands and make the most of this different yet traditional experience. This festival has been taking place since 1960 when The Caves of Nerja were open to the public. The first edition of this music and dance event was such a success that it has been held annually in commemoration of the discovery of the caves since. Many artists such as Joaquin Cortes, Paco de Lucia or Monserrat Caballe have been part of past editions of this festival that offers in a beautiful and unique natural venue, classical and flamenco music and dance programs as well as some international touches with the participation of different music or dance groups from other countries. The main hall in the cave has a capacity for 550 people and some of the concerts are free of charge, and others have a relatively cheap ticket fare. All of this makes this festival a very exclusive one and worth going for. Some of the artists coming up in this edition are Nuria Fergó, Carmen Linares or Diana Navarro, and there are also concerts given by the local Nerja music bands and the Malaga orchestra. 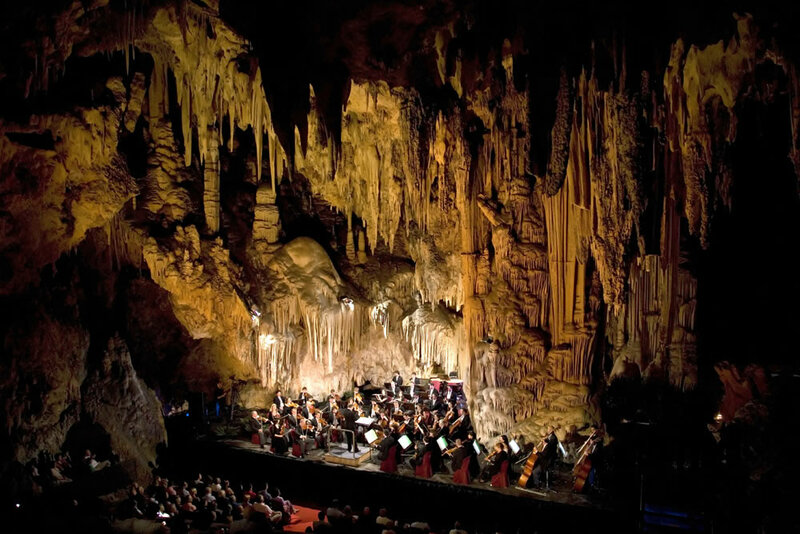 The locations of the concerts couldn’t get any better as they take place either in the Caves of Nerja, a prehistoric cave with a natural hall in which the acoustics are exceptional making this festival possible, or in the “Balcón de Europa” , an important sightseeing point of the town where you can get amazing views of the coast line. It is truly a different way of enjoying music concerts in such historical locations.